US Drought Monitor September 4, 2018. 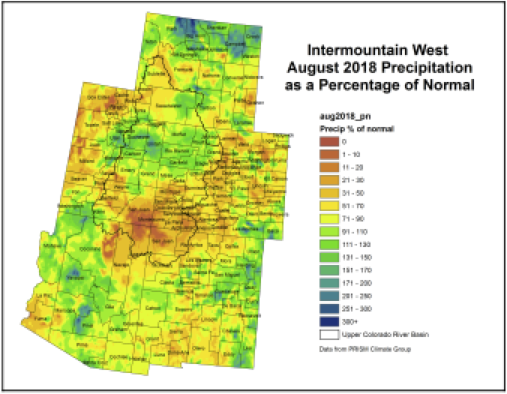 West Drought Monitor September 4, 2018. For the ensuing 5 days (September 6-10), heavy rain is expected from the southern Plains northeastward into the mid-Atlantic, with the Midwest drought area once again targeted for additional copious rainfall. Most of Texas and Oklahoma should also see substantial totals, as should the Ohio Valley and mid-Atlantic. Moisture from the remnants of Tropical Storm Gordon will contribute to some of these large precipitation amounts. 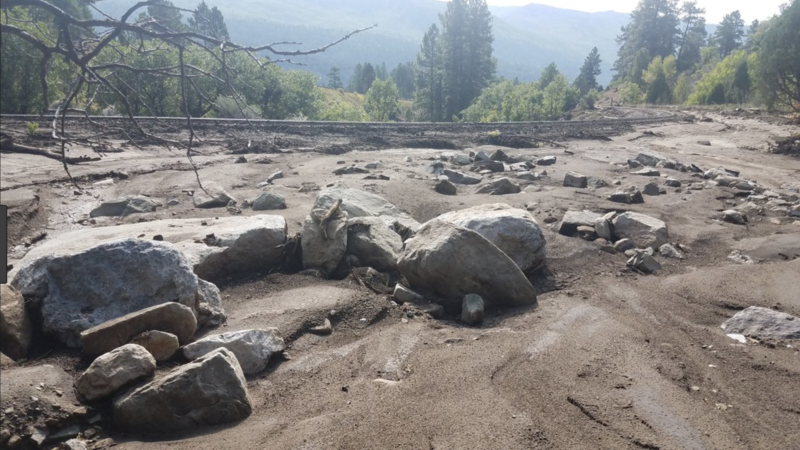 Most of the West, northern Rockies and Plains, parts of the interior Southeast, and coastal New England are forecast to get little or no rain. 5-day temperatures should average below-normal in the Nation’s midsection where the rain is expected, while above-normal readings return to the West. For the CPC 6-10 day extended range outlook (Sep. 11-15), the odds favor above normal precipitation along the Gulf and Atlantic Coast States, the Pacific Northwest, northern Plains, and upper Midwest. In contrast, subnormal rainfall is likely in the central U.S. and western Great Lakes region which should be welcome after heavy rains that have fallen and are expect to occur in the next 5 days. The southern half of Alaska is favored for subnormal precipitation. Most of the Nation from the Rockies eastward (and Alaska) should see above-normal temperature, with odds for subnormal readings limited to the Northwest, Texas, and eastern Alaska. 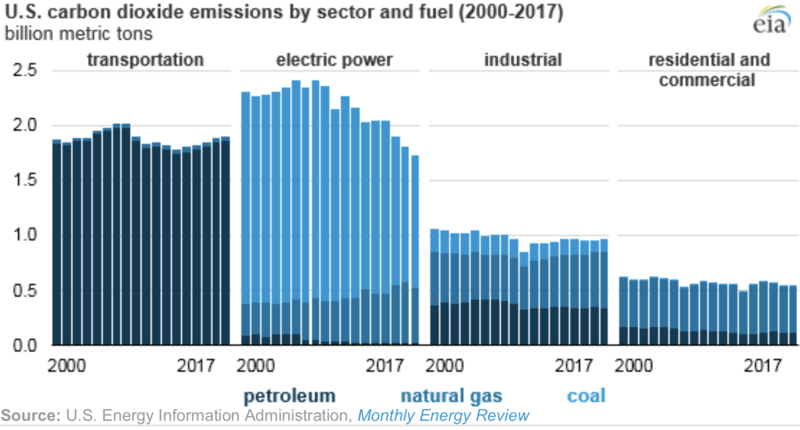 U.S. energy-related carbon dioxide (CO2) emissions in 2017 fell to 5.14 billion metric tons, 0.9% lower than their 2016 levels, and coal emissions were the primary driver behind the decline. U.S. energy-related CO2 emissions have declined in 7 of the past 10 years, and they are now 14% lower than in 2005. 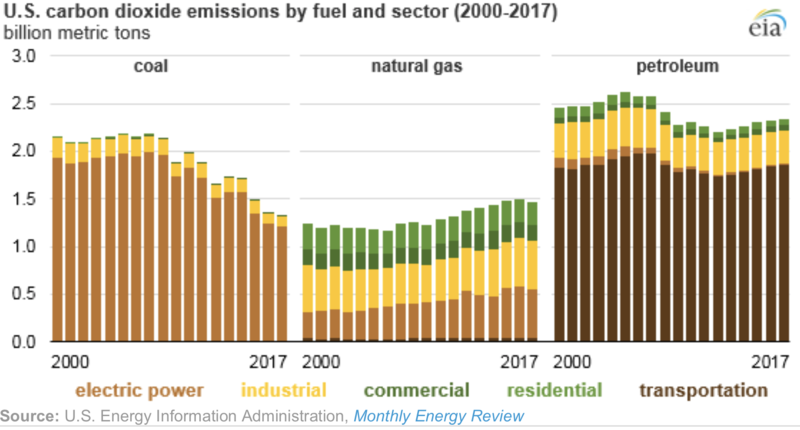 Both coal and natural gas consumption in the United States were lower in 2017 than in 2016, and as a result, coal- and natural gas-related CO2 emissions decreased 2.6% and 1.5%, respectively. Natural gas consumption has displaced coal consumption in the electric power sector in recent years, and total U.S. emissions from natural gas first surpassed emissions from coal in 2015. 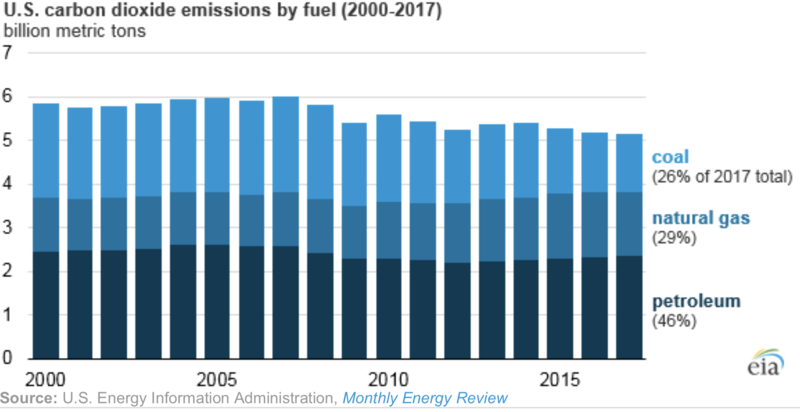 U.S. petroleum consumption increased in 2017, contributing to a 0.5% increase in energy-related CO2 emissions from petroleum, but this increase was offset by the decrease in coal and natural gas emissions. The electric power sector was the only U.S. sector in which energy-related emissions decreased in 2017, and the 4.6% decline was enough to offset increases in all other sectors. In recent years, the generation mix has shifted away from coal and toward natural gas and renewables. The shift toward natural gas from coal lowers CO2 emissions because natural gas produces fewer emissions per unit of energy consumed than coal and because natural gas generators typically use less energy than coal plants to generate each kilowatthour of electricity. Electricity generation from renewable energy technologies has increased; these technologies do not directly emit CO2 as part of their electricity generation. In EIA’s emissions data series, emissions from biomass combustion are excluded from reported energy-related emissions according to international convention. In addition to reduced CO2 emissions as a result of utilization of less carbon-intensive generation sources, CO2 emissions were also lower in 2017 because of lower electricity sales, which in 2017 experienced the largest drop since the economic recession in 2009. The decline in CO2 emissions in the residential and commercial sectors was largely attributable to milder weather. Cooler summers reduce electricity consumption for cooling, and warmer winters reduce electricity consumption for heating (and also reduce heating-related consumption of natural gas and petroleum). Electricity sales to the industrial sector were also lower in 2017, despite an overall increase in manufacturing output. Energy-related CO2 emissions trends are often related to trends in energy consumption and economic growth. Trends in energy consumption and related CO2 emissions relative to economic activity can be measured in several ways. Energy intensity is the amount of energy consumed relative to economic activity, measured in British thermal units per dollar of gross domestic product. Carbon intensity of energy consumed relates CO2 emissions to the amount of energy consumed in a year, measured in metric tons of CO2 per billion British thermal units. From 2005 to 2017, the U.S. economy grew by 20%, while U.S. energy consumption fell by 2%. Energy-related CO2 emissions also decreased during that time period, and as of 2017, they were 14% lower than their 2005 levels. 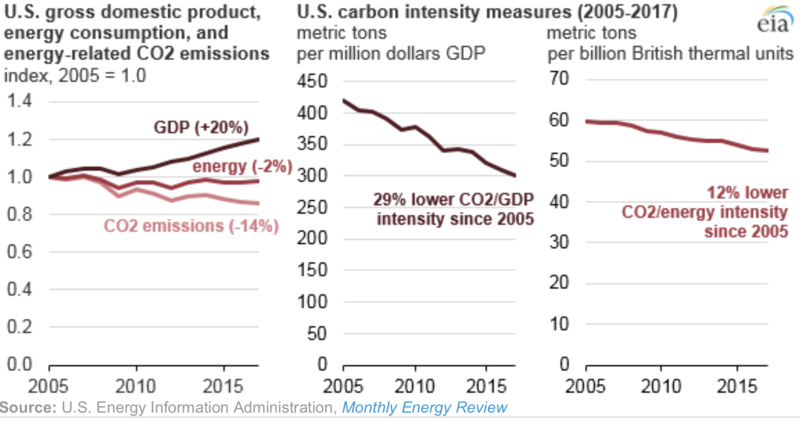 Compared with the levels in 2005, U.S. economic growth in 2017 was 29% less carbon-intensive, and overall U.S. energy consumption was 12% less carbon-intensive.